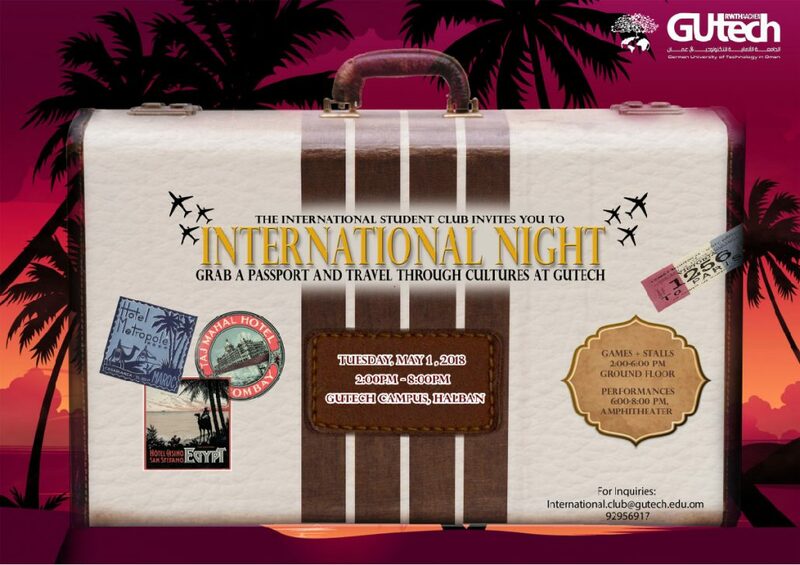 HALBAN The International Student Club of GUtech will hold an International Night on campus on 1 May, between 2-8 pm. The event will include a Global Village Bazaar in the afternoon with games, cultural exhibitions and food from around the world, to be organized in cooperation with the English Club at GUtech. According to the organizers, visitors will be asked to pick up an individual passport at the entrance. For each completed activity, they will receive a stamp in their passport, which they can submit for a raffle at the end of the event. Those with the most stamps have a chance to win prizes from the event sponsors Diamantine, Le Petit Paris and Tamrahoman. Between 6 to 8 pm performances will be held in the GUtech amphitheater including international traditional dances, martial arts presentations, musical performances, a fashion show and an original play. The International Night will be open to the public and the entrance will be free of charge.